A city with a marvellous heritage, Whanganui offers a gateway to some of the most untamed and stunning scenery in New Zealand's North Island, while its heart - the mighty Whanganui River - is a superb attraction in its own right. Whanganui is important in both Māori culture and for the more recent Europeans who settled here, making it one of the first cities to be founded in New Zealand. Its history and prestige have helped make it a superb tourist destination with lots of available and affordable holiday accommodation. 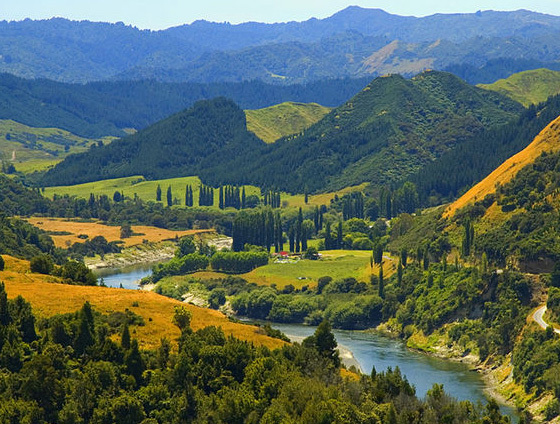 The Whanganui River is the longest navigable river in New Zealand and its length and power - it has 239 rapids along its route - led it to being dubbed "the Rhine of New Zealand" in the early 19th century. In fact, the river's very name, Whanganui, means "big river", emphasising its importance to the Māori people who navigated and fished its depths for centuries before European immigration. 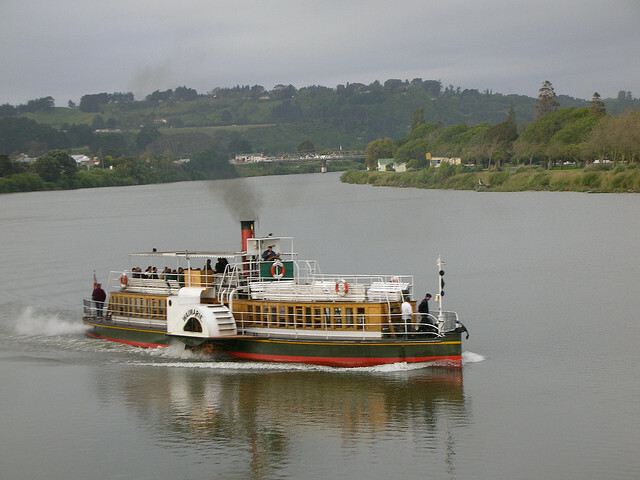 Today the Whanganui is known mainly for its pleasure crafts, with visitors who have chosen holiday rentals here packed aboard paddle steamer cruises or zipping up the river by jetboat. Kayaking is a another brilliant way to spend time on the river - the "Whanganui Journey" starts in Taumaranui and ends in Pipiriki, taking kayakers through bush-clad hill country and narrow gorges along the way. 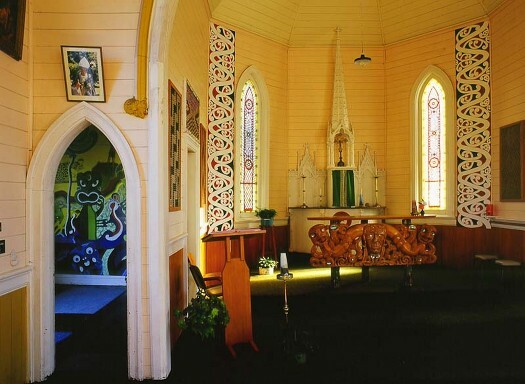 In addition Māori guides conduct canoe trips to two marae (meeting houses) on the river banks where you may experience a traditional welcome and participate in arts performances and a hangi (earth oven feast). Māori occupancy is much in evidence on the river and in the Whanganui National Park. The Māori cultivated gardens and built villages in the forested land around the river's central and lower reaches, giving a name to every one of the 239 rapids and constructing weirs where the currents converged. The river became an important trade and communication route for both Māori and subsequently Europeans. The park, which was established in 1986 and covers an area of 742 km², has preserved this ancient land, its myths and secrets, and it is a wondrous experience to visit. Take a day trip to the famous Bridge to Nowhere, which was built across the Mangapurua Gorge in the 1930s as access to farms established in the Mangapurua Valley. The farms failed and were finally abandoned in 1942, and today the forest has reclaimed the track leading to the bridge, making for an eerie location. Today only the bridge survives as any evidence that anyone once lived and worked here. With no remaining roads, access is by jet boat or kayak (and a walk) or mountain bike along various tracks. The city of Whanganui is picturesque and vibrant with great options on holiday accommodation. 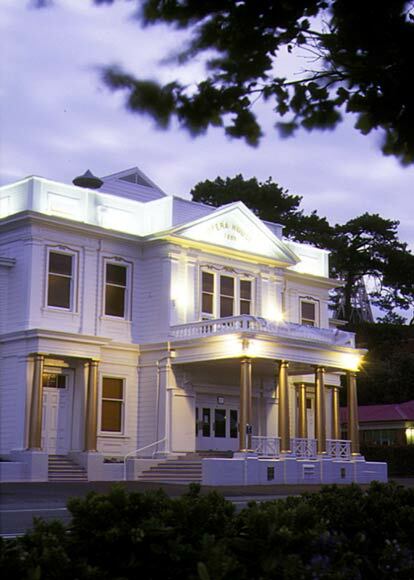 Cultural highlights here include the Whanganui Opera House and the Sarjeant Art Gallery while the regional museum's treasures include a collection of Lindauer portraits and Māori artefacts. The No12 Tram Museum and Tramshed reveals Whanganuis tram history and you can even step on board the No12 tram that is being restored. An unusual attraction is the Durie Hill elevator, New Zealand's only public underground elevator. The elevator was built in 1919 along with the adjacent Memorial Tower and offers superb views of the city, the nearby Ruapehu and Taranaki mountains, and the Tasman Sea. More hardy visitors might fancy tackling the 191 step stairway instead of being whisked to the top. The Whanganui River Road was completed in 1934 (taking over 30 years to construct) and follows the river from just north of the city to Pipiriki. 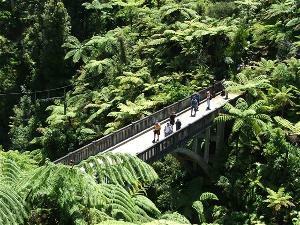 A trip on the road allows visitors to step back in time to the ancient Maori past and to the early European settlers. Must-stops along the way are Jerusalem, where a 19th century Catholic mission still exists, and Kawana, once a thriving flour mill and now a restored museum. Depending on the number of stops, the trip from Whanganui to Pipiriki takes about three hours. For something different take the Whanganui River Mail Run - a mini-coach trip from Whanganui to Pipiriki and returning through the heart of the Whanganui National Park. The climate of Whanganui is a temperate one that rarely experiences any extremes and is sheltered from high winds. With more than 2,000 sunshine hours every year, this is a very pleasant summer destination. Expect average summer temperatures of 18°C and winter temperatures averaging 10°C. The nearest airport to Whanganui is at Palmerston North, around an hour's drive away, where scheduled flights arrive daily from Christchurch. Dunedin is the nearest international airport. There is no rail service to the city but regular coach and bus services link it to the other main cities and population centres in New Zealand. Car rental is the best way to arrive here and your vehicle can be booked when you organise your Whanganui holiday accommodation.